As a Commercial Realtor, I have over 20 years of experience in small business consulting, running a small business, and investing in commercial real estate. My philosophy is to be a problem solver. I pride myself on getting to know my clients and developing long-term relationships with them. I can assist you with tax-deferred exchanging (1031 exchange), utilization of charitable trusts and IRAs with real estate investment assets. Specialties: Buyer/Seller representation, long-term investment clients, hospitality industry, healthcare assets (Medical office buildings, assisted living facilities, nursing homes, surgery centers, free standing clinics, hospitals), site selection. I have been a Commercial Realtor in the Charlotte County area since 1997. In my time here, I have compiled a vast knowledge of the local market and people. My CPA background allows me to provide expertise to my clients as they look at the economics of the real estate market. I was President of the PGPCNP Association of Realtors in 2015. Dan Barrile began his career in Real Estate in 2004 selling in the very competitive Downtown Historic District market in Savannah, Georgia. Dan became versed in all facets of Real Estate from Residential, Commercial, Property Management, as well as restoration of Historic Properties. He assisted several local banks in asset evaluation and disposition, including an 86 unit apartment complex in Richmond Hill, Georgia. Dan is currently focused on finding single tenant NNN leased properties including Retail, Restaurants, Office and Industrial sites. Prior to his career in Real Estate Dan had been an Elementary School teacher, and school counselor. He holds both a Bachelors and two masters degrees in the field of Education, and still holds a passion for both teaching, learning and mentoring and can often be seen teaching and mentoring youngsters at the Fort Myers YMCA, and the Quality Life Center in Fort Myers. He is also the area director for the annual Elk's Hoop Shoot. Rob has over 20 years of experience in Compliance & Broker-Dealer Operations with International Broker-Dealer/Advisory Firms in Southwest Florida. In 2015, Rob joined Keller Williams as a Residential Sales Associate and later transitioned to a KW Commercial Associate. With his extensive business background and experience with affluent and influential business men and women globally, this was a natural transition. Rob looks forward to serving the local and global business community in a brand new way. Rob is transparent, diligent, and pays close attention to detail. Rob believes that honesty, integrity, and trust are foundational to every relationship, and that doing what is right is the only option. KW Commercial is a division of Keller Williams Realty.  Keller Williams Realty, Inc. is a real estate franchise company. Each Keller Williams office is independently owned and operated. Keller Williams Realty, Inc. is an Equal Opportunity Employer and supports the Fair Housing Act. 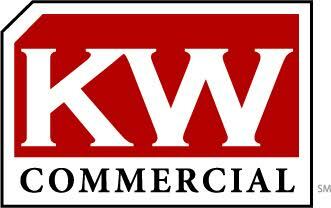 KW Commercial is a trademark of KW Commercial. Keller Williams Realty is a trademark of Keller Williams Realty.